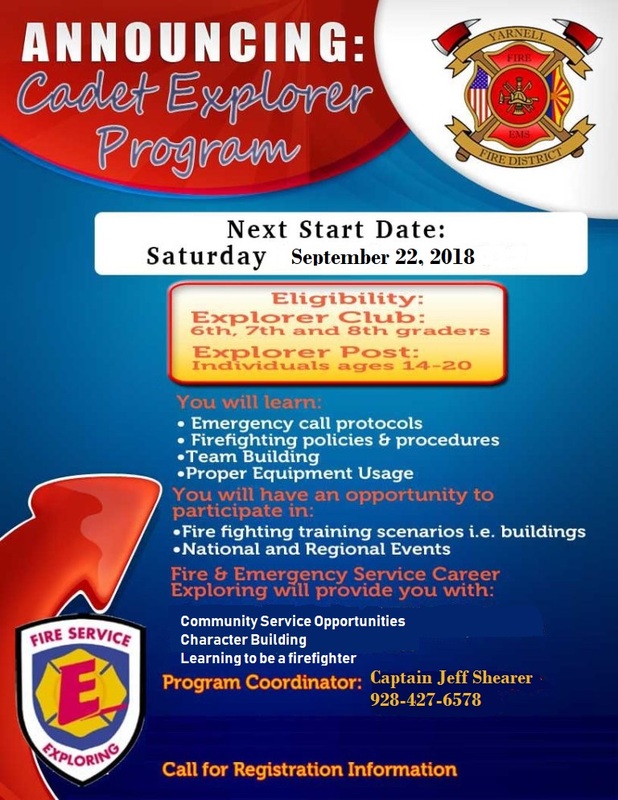 Yarnell Fire Cadet Explorer Program is a developmental program designed to teach young people interested in a possible career in the fire & EMS service and give them community service opportunities. Cadets get a wealth of instruction and opportunities to learn and perform duties commonly demonstrated within the firefighting profession. The advisers to the Cadet program are full time firefighters. Your support is needed to keep the Cadet Explorer Program available for the young people of our district. Your donation here goes entirely to the Yarnell Fire Cadet Explorer Program.